The Office of Alumni Relations for George Mason University—in Fairfax, Virginia, where I teach—is located centrally on the campus. The exterior of the building faces a busy walkway, displaying in vinyl lettering the official slogan of the university’s alumni association: “once a Patriot, always a Patriot.” This motto refers to the university’s Patriot mascot and implies that once a person joins the university as a student, that person becomes a Patriot and will forever remain a Patriot, which, the alumni office presumably hopes, will result in feelings of goodwill that prompt generous financial contributions from alumni donors. In considering the questions posed to authors for this issue of the Bank Street Occasional Paper Series, I think about the way the alumni association slogan performs its own assumptions of patriotism: because you are a (George Mason) Patriot, you must feel things for the university as a (George Mason) Patriot. Patriotism works as a kind of sociocultural cement to bond and hold members of pluralistic communities, nations, and states together (Soutphommasane, 2012; Taylor, 2002). Identifying the bonding agents that activate the properties of patriotism as a type of cement can help explain how patriotism works. 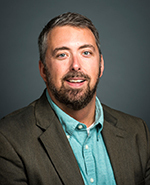 Mark Helmsing is an assistant professor in the Graduate School of Education at George Mason University, where he coordinates the Social Studies Education MEd program and teaches in the Teaching & Teacher Education PhD program. His research and scholarship center on affective and emotional dimensions of learning about the nation in schools, museums, and popular culture. His current projects examine how educators respond to emotions and feelings of violence, the language and ethics of belonging, and the affects of trauma in our cultural memory and heritage.